Significantly rising population & vehicle owners have furthered the global Automotive Sunroof Market. The worldwide Automotive Sunroof Market was valued at around USD 4.70 billion in 2014. The industry is expected to grow at nearly 10% CAGR and surpass USD 9 billion from 2016 to 2024 (forecast period). The use of smart glass in vehicles is anticipated to impel industry growth in the coming years. Rising vehicle owners and worldwide population have contributed to added market sales. Growing popularity of automotive sunroofs has also contributed to overall demand. Furthermore, the after-sales trend in the Asia Pacific region has furthered market growth. Consumers expect more comfort in their cars, with such a roofing system. They opt for sunroofs & other luxurious features for their economy-class vehicles. Around half of all new cars sold will be fitted with sunroof systems in the years to come. These would include convertibles, full glass sliding, and retractable hardtops. Alternate fuel vehicles may encourage car manufacturers to make ‘built-in solar cell’ sunroofs, powering vehicles. Technological developments in solar roofs for EVs (Electric Vehicles) can propel the global Automotive Sunroof Market in the forecast period. The Automotive Sunroof Market is divided into applications, products, and geographies. Products include fabric and glass. It is expected that the glass segment may continue to dominate the global market from 2016 to 2024. Glass is further divided into pop-up, inbuilt, spoiler or tilt & slide, top mount, and panoramic. The panoramic or the vista roof segment can grow at a CAGR exceeding 15% in the forthcoming years. Greater preference for bigger sunroofs contributes to its demand. Fabric sunroofs include foldable or rag-tops and removable sunroofs. The fabric sunroof industry in Europe and North America is mainly driven by demand for foldable sunroofs. Most vehicle manufacturers provide either inbuilt or optional systems, in their mid to premium range of cars. The inbuilt glass car sunroof industry contributed to more than 40% of the total market shares in 2014. This industry may expand at over 7% CAGR till 2024. Increasing aftermarket & factory-installed product demand could stimulate the Automotive Sunroof Market. On the basis of applications, the industry is divided into hatchback, premium cars, sedan cars, and others. The premium cars segment is popular in regions, like India, South Korea, China, and Thailand. Rising demand for luxury cars in these markets is attributed to rising disposable incomes. Geographies in the global Automotive Sunroof Market include North America, Europe, Asia Pacific, Latin America, and the Middle East & Africa (MEA). North America and Europe may exhibit significant growth from 2016 to 2024. 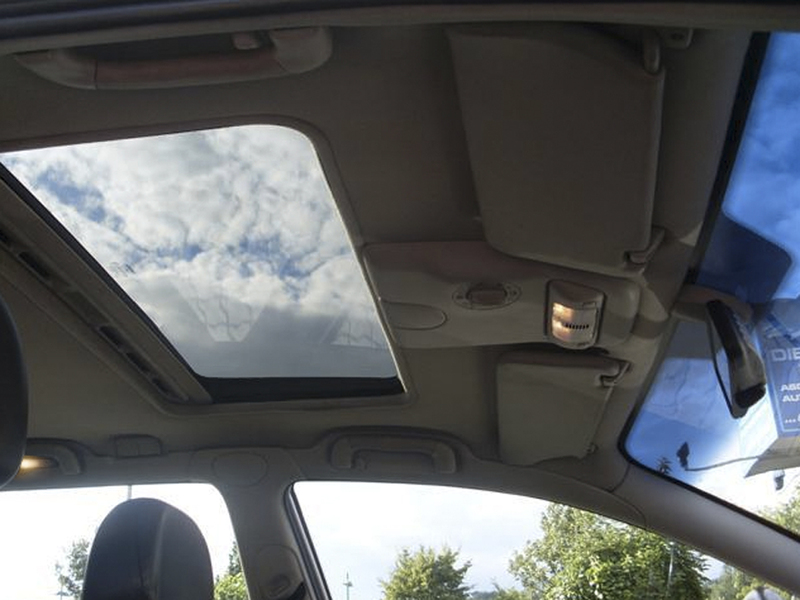 The Europe sunroof industry was estimated at around USD 1.7 billion in 2014. It is projected to grow at nearly 9.5% CAGR in the coming years. A key factor driving this market is the demand for luxury vehicles in the U.K. and Germany. The Asia Pacific sunroof market can witness a growth of over 11% CAGR till 2024. Emerging automotive manufacturing hubs in countries, like India, China, and Japan can contribute to the demand in this region. Key players in the global Automotive Sunroof Market are Webasto, Inalfa Roof Systems, Johnan America Incorporated, Mitsuba Corp, and Inteva Products. Partnerships, new product development, and research & development, are the main business expansion strategies adopted by these companies.